Notice something different about our homepage??? THAT’S RIGHT! WE HAVE A WEBCAM! Our new JH Nordic webcam was successfully installed and went live last week! 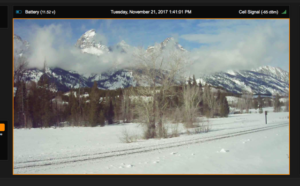 Located just off the Grand Teton National Park Rd north of the Taggart Bradley Trailhead, this webcam is prefect for being able to check out the conditions of the part before you drive up there. 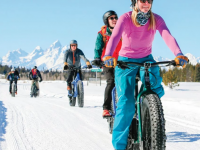 It is located along the Taggart to Jenny Lake and Signal Mountain groomed Nordic Trail. 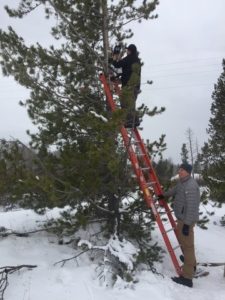 The webcam is a joint effort by JH Nordic, Grand Teton National Park Foundation, Grand Teton National Park, and See JH. Grand Teton National Park will eventually be adding the webcam to their website for visitors to see in the summer as well. It’s great to watch whats going on on the trail (i.e. 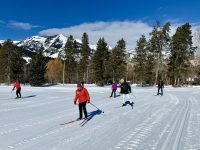 skiers, groomer, walkers, animals) and it’s even better to get the spectacular view of the Grand Teton. Furthermore, you can wave to your friends from Grand Teton National Park! 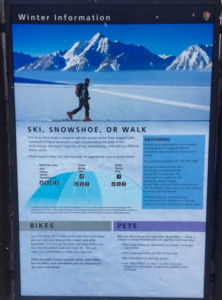 In addition to the webcam, we were also able to post up several new informational signs with winter information, safety techniques and a winter trail map for that region at the trailhead. This will be a great way to help encourage safety while out in the park and help visitors enjoy the area more thoroughly. 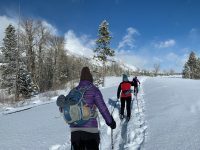 We are grateful to this partnership and the generous support of GTNP, GTNP Foundation, and SeeJH. Howdy. I cannot see the link to the webcam. Is it down? We are thinking of heading up to the park tomorrow for some xc skiing. 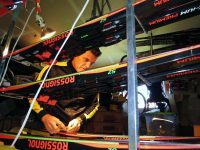 Hi Debra – Got to the JHNordic.com Home page, and scroll down 1 screen. The webcam image is right there. the GTNP trail was groomed today, so tomorrow, there will be fresh snow on top of the groomed trail.. This is fabulous information. I love reading everything you provide.